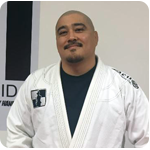 The Hacienda MMA Training Center Muay Thai program is headed by Mando Saldana. 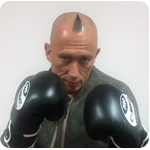 With over 12 years experience in Muay Thai and Kickboxing he is a leader in both the kids and adults programs. Coach Auggie adds his own style with 13 years experience. 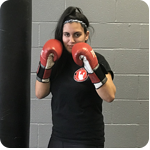 Coach Sasha gets our kids classes into shape.